We start the show with a look at some of the events that happened on this day in history, including two hundred African Americans leaving Savannah, Georgia, for Liberia in 1895, the 1982 car crash that severely injured soul singer Teddy Pendergrass’ spinal cord, and the birth of Queen Latifah, American rapper and actress. 37: The Roman Senate annulled Tiberius’s will and proclaimed Caligula emperor. 1766: American Revolution: The British Parliament repealed the Stamp Act. 1834: Six farm labourers from Tolpuddle, Dorset, England were sentenced to be transported to Australia for forming a trade union. 1877: President Hayes appointed Frederick Douglass marshal of District of Columbia. 1879: Forty-sixth Congress (1879-1881) convened. One U.S. Senator: Blanche K. Bruce, Mississippi. 1895: Two hundred Blacks left Savannah, Ga., for Liberia. 1922: Mohandas K. Gandhi a British educated lawyer, was sentenced to prison in India for civil disobedience after calling for mass civil disobedience which included boycotting British educational institutions and law courts, not working for the British controlled government and the boycott of foreign-made goods, especially British goods. In his many speeches he always emphasized that the USE OF VIOLENCE on both sides was wrong . He was sentenced to 6 years but released after 2 years. 1937: A gas explosion at a school in New London, Texas, killed more than 400 people, most of them children. 1942: The War Relocation Authority was established in the United States to take Japanese Americans into custody. 1959: President Dwight D. Eisenhower signed a bill into law allowing for Hawaiian statehood, which would become official on August 21. 1965: A Soviet cosmonaut known as Lt. Col. Alexei Leonov exited the spacecraft Voskshod II for a short “spin”. He completed a somersault, and then proceeded to take pictures of space. This took place just days before the U.S. planned to launch its first two-man spaceship and becomes the first man to walk in space. 1968 Gold standard: The U.S. Congress repealed the requirement for a gold reserve to back US currency. 1969: U.S. B-52 bombers attack suspected communist base camps and supply areas in Cambodia for the first time in the war. 1970: The U.S. postal strike of 1970 begins, one of the largest wildcat strikes in U.S. history. 1972: Neil Young started a three week run at No.1 on the US singles chart with ‘Heart Of Gold’. His only Top 20 hit as a solo artist reached No.10 on the UK chart. 1974: Nearly all members of OPEC except Syria agree to lift the Oil Embargo against United States, Europe, Japan, South Africa which had been in place since October 1973. The embargo was the result of the fourth Arab-Israeli War and was designed to punish countries who supported Israel during the war. The earlier increases of prices and the embargo quadrupled the price of oil between 1973 and 1974, but following the ending of the war and embargo the price of a gallon of gas ended at 55 cents which was the same price it was in 1972. 1978: The Bee Gees had the Top 3 on the US singles charts, ‘Night Fever’ at No.1, ‘(Love is) Thicker Than Water’, by brother Andy at No.2, co-written by Barry Gibb and ‘Emotion’ by Samantha Song written and produced by The Bee Gees at No.3. 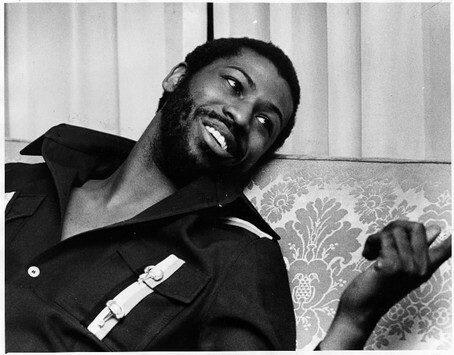 1982: Driving home from a basketball game in Philadelphia, soul singer Teddy Pendergrass crashed his Rolls Royce severely injuring his spinal cord. 1990: Germans in the German Democratic Republic voted in the first democratic elections in the former communist dictatorship. 1992: The beginning of the end of white rule and apartheid in South Africa came today when White South Africans voted for political reforms to end apartheid and create a power-sharing multi-racial government. 2008: Barack Obama has delivered an assessment of race in America, and bluntly confronted the racial boundaries that still exist. He sought to dispel the furor that has come from the statements made by his former pastor, Jeremiah Wright. Obama has condemned the pastor’s more incendiary remarks, and drawn on his experiences as the son of a white mother and a black father. He went on to explain what was behind Wright’s anger, and urged blacks to understand the racial fears and resentments among whites. 1860: Ralph Waldo Tyler, journalist, Auditor-General of the Navy and World War I foreign correspondent. Te oldest of 12 children, Tyler is believed to have been born in Ohio. 1933: Unita Blackwell was born this day in Lula, Mississippi. She became the first black woman mayor elected in Mississippi. 1936: Born on this day, Robert Lee Smith, The Tams, (1964 US No.9 single ‘What Kind Of Fool Do you Think I Am’, 1971 UK No.1 single ‘Hey Girl Don’t Bother Me’). 1938: Country and western singer Charlie Pride was born in Sledge, Mississippi. 1950: Born on this day, John Hartman, The Doobie Brothers, (1979 US No.1 single ‘What A Fool Believes’, 1993 UK No.7 single ‘Long Train Runnin’). 1964: Born on this day, Courtney Pine, jazz musician, worked with Charlie Watts, Mica Paris, composer of film and TV music. 2001: American singer, guitarist, and songwriter John Phillips of Mamas and The Papas died of heart failure aged 65. His first band, The Journeymen, were a folk trio, Mamas and The Papas had the US No.1 ‘Monday, Monday’. Phillips was married to Michelle Gilliam, they had one child together, Chynna Phillips, vocalist of the 1990’s pop trio Wilson Phillips. His second solo album was released on Rolling Stones records and featured Mick Jagger, Keith Richards, Mick Taylor and Ronnie Wood.